What lights up the holiday nights with 75 magnificent displays boasting over 60,000 breathtaking lights of almost every color imaginable? 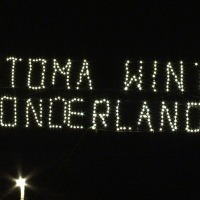 The answer, the Sertoma Winter Wonderland held at the Northland Arboretum in Brainerd. 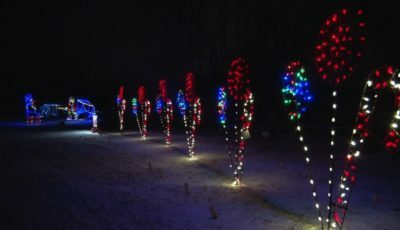 For the eighth consecutive year, Sertoma has partnered with the arboretum to give visitors a light display they will never forget. 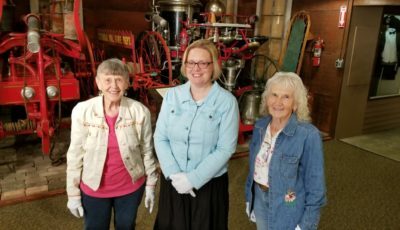 Sertoma stands for “Service to Mankind”, and this event is just one service they provide while bringing loved ones together for the holidays. Although it doesn’t look like much right now, come nighttime, these trails come to life with sights and sounds of the holiday season. The trails are open 5:30 to 8:30 pm Wednesday through Saturday, and will be lit up every night during Christmas week.